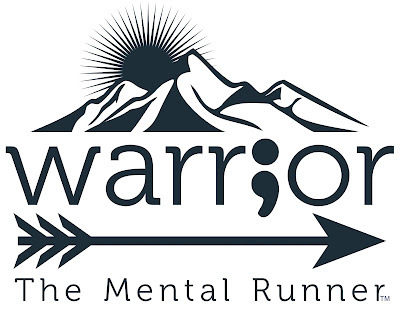 The Mental Runner: Does "It" Work? I have had many people send in questions that go something like this, "Does it really work?" By "It" I believe they are asking if I am, truly, getting so much relief from my symptoms through exercise, wellness activities, a healthy diet, and medication. The answer is yes. It works. And, it's simple. 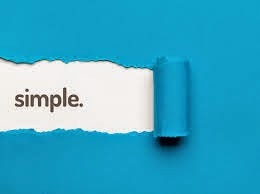 I did not say anything about "It" being easy, but what I do is definitely simple. I don't overthink it. I run/exercise as much as I can. I eat as many vegetables and fruits as often as I can. And, I schedule wellness activities into my week. Of course, I also take my medication. There was a time that even when I took all my medications, exactly as prescribed, that I was barely able to leave my apartment. I had to see my psychiatrist once a week, if not more, and I still found myself in mental wards more than I care to remember. The quality of my life has improved dramatically. Now, I am able to see my psychiatrist every three months. It became possible to change my medications to safer versions, that have fewer side effects. I am able to leave my apartment without terror coursing through my veins. More often than not, I can get out of bed without first having a horrible battle with the voices in my head. I get to spend more quality time with my wonderful family. I have gradually and naturally lost over 90 pounds. I go for runs four or five times a week. There is hope in my life again. So, I still face many challenges, but I can face those challenges with more ease and confidence when I eat healthy foods, exercise and plan a few wellness activities. Being a skeptic, when my psychiatrist told me about the benefits of exercise and healthy eating habits, I was a bit skeptical. I pointed out to him that I had tried this in the past. He informed me that starving myself while running 10+ miles every day, during a prolonged manic episode, did not qualify as a healthy eating and exercise program. So, I started digging into the literature and was soon a little upset that he hadn't made the suggestion sooner. Instead of boring anyone with the mounds of research available on the subject, here are two short clips, presented by doctors, that demonstrate the importance of healthy eating habits and exercise for good mental health. Some of you may have seen them before. First, is Psychiatrist Richard Dopp M.D. My favorite line is, "One of the best self-care strategies is exercise...the benefits can be immediate, helping you feel better right away." Dr. Gregger M.D. shows that healthy eating habits are a strong indicator of the severity and likelihood of depression. If you find the ending a little funny, like I did, and it throws you off, then it may be best to watch the clip again. I had to because the message is too profound to miss. Again, yes, it is this simple for me: The more I exercise, the more wellness activities I do and the more fruits and vegetables I eat, the less I experience the symptoms from my illnesses. Obviously, there are many details and tips that I have found that work well for me, and I'll post about them in the future. If you are just beginning, Healthy Eating With Mental Illnesses and Being Active Is Your Right, may help be helpful (simply click a title and a new tab will open up with that post). Again, I had to force myself not to overthink it. I just did it. I have found that depression and panic attacks can make starting something seem nearly impossible. If that is where you find yourself, you may want to click here for a helping nudge Humor and Exercise. Finally, I wonder if what people are actually asking, when they ask if "It" really works is, will "It" cure me? The reason I do the things that I do is not because I believe they will cure me, but so that I can experience fewer symptoms from my illnesses. Fewer symptoms means I struggle less and enjoy life more. I have stopped trying to find cures. Often, other people believe that I should be "better/cured" by now. I have learned to simply smile and walk away when a well meaning, but untrained, person tells me that I should read The Power of Positive Thinking (or whatever hot new book is out on the topic), try talking to a therapist, or go to support groups. The implication, more often than not, is that I haven't done something correctly, or I would be better by now. I have read stacks of books on the subject, spent interminable hours with licensed therapists, and been in more support groups than I can remember. Those things have helped in immeasurable ways. However, nothing can change the fact that my brain chemistry differs from that of an average person. "Medical research has found that people who suffer from clinical depression have changes in important brain chemicals, such as serotonin and norepinephrine. New medications are available that help restore these brain chemicals to their proper balance and relieve symptoms of clinical depression...At this time, most mental illnesses cannot be cured, but they can usually be treated effectively to minimize the symptoms and allow the individual to function in work, school, or social environments"
(National Institutes of Health (US); Biological Sciences Curriculum Study Bethesda (MD); 2007). The part that brings me the most peace is, "At this time, most mental illnesses cannot be cured, but they can usually be treated effectively to minimize the symptoms..." I have struggled since I was a kid to try and fix what was "wrong" with me. Now, I accept my conditions and move on. I play the hand I have been dealt, to the best of my ability. That is what I strive for, to live the best life possible. I have learned to stop letting people make me feel bad about who I am. No one gets angry when cancer patients don't experience complete remissions from their illnesses. No one tells them that if they only adopted a new philosophy all would be well. Why is it acceptable to treat people with mental illnesses in such a way? It isn't. In summation, science has proven that eating healthy foods, consistently exercising, engaging in wellness activities and taking medications (as prescribed) works incredibly well at treating the symptoms of mental illnesses. Do they cure? No. That's why I keep doing them, not because I believe they will cure me, but because they have worked so well at bringing me hope and making my life worth living again. That is my message. 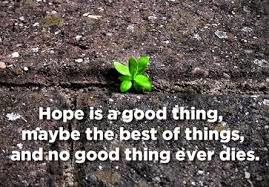 That is what I have found by doing these things, Hope!